It was finally time to go to another BJJ tournament. After more than 6 months of not being able to compete, I felt both excited and positively nervous to finally roll against new people again. To start the 2017 fighting season, I had the chance to go to the No Way Out IV, the latest edition of the series. It was organised and hosted by the No Fear Gym. Last year I competed in the 3rd edition which was a gi and a no-gi tournament setup. 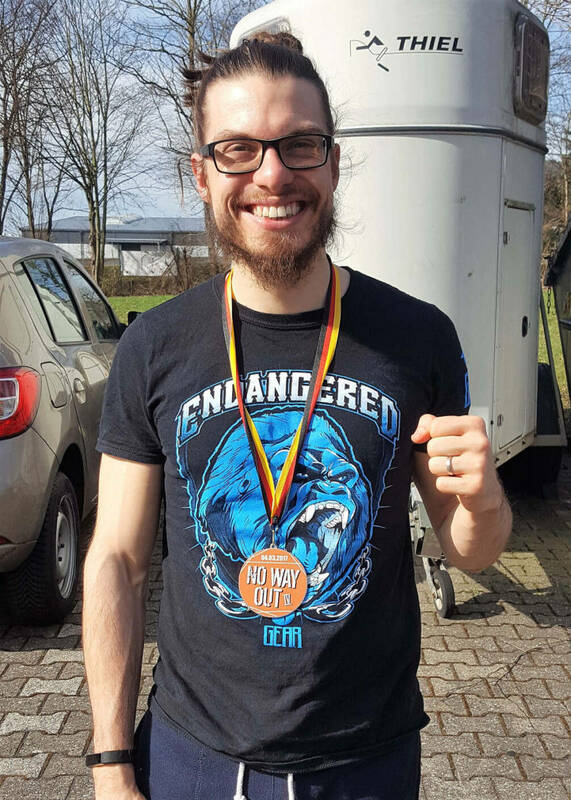 You can find my full experience and my last tournament experience as a white belt here: Now Way Out III – A Gi and No-Gi BJJ Experience. This year the setup was a little different. 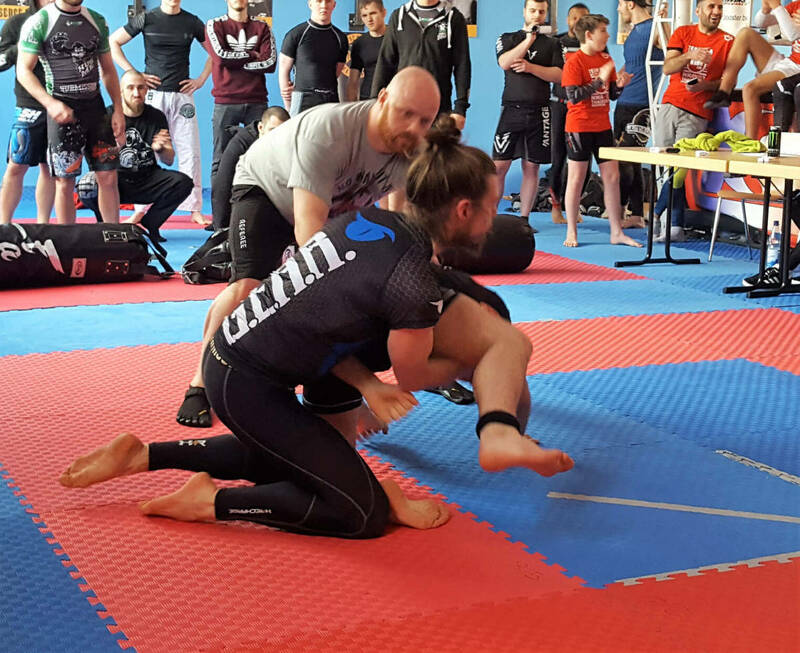 In the morning, they organised a no-gi grappling tournament. The gym intended to also host a gi tournament again but had to scratch it due to the afternoon/evening event. 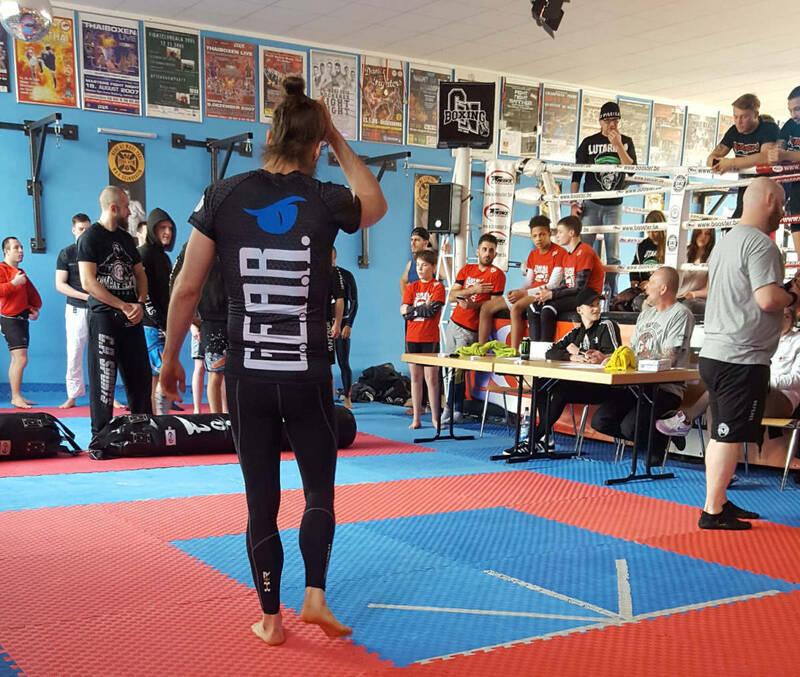 In the afternoon they hosted an amateur MMA and K1 themed event that had to start a 16:00 o’clock. That gave them little time to go ahead with the grappling tournament, unlike the last edition when they only did gi and no-gi on the same day. As I wasn’t competing in the MMA event, it was a little sad to only have one starting spot to fight. But that’s part of the game and it was great being there again, meeting the organisers again who greeted me warm-heartedly when I arrived. This is one of the reasons I love BJJ: community. The people are always very approachable and I can easily connect with them. 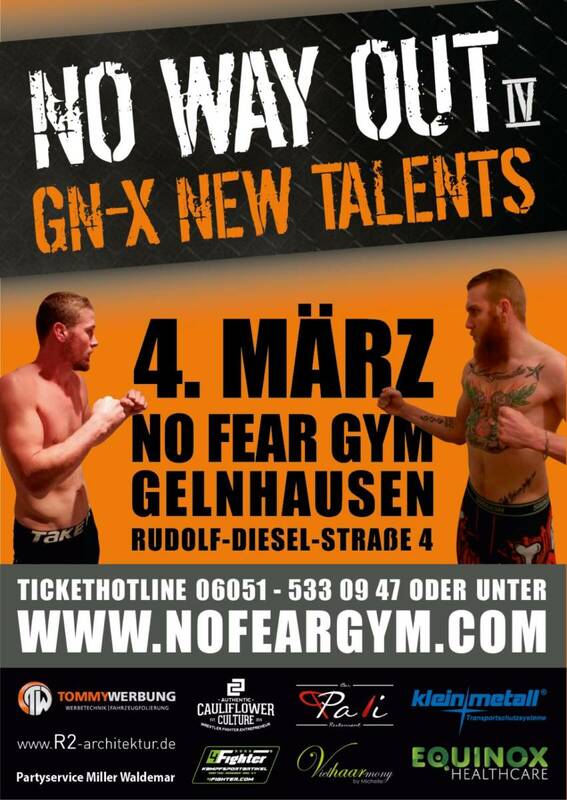 No Way Out IV: Get ready, Fight! After quickly weighing in and a few more chats with friends that joined me to see what I was up to, I started my warm up routine. Then I watched the women fight, which was good fun and the level and spirit they brought on the tatami were great. Next was the -70kg advanced group, meaning it was my turn! The first fight was good to watch and the level was high. Once this round was over it was my turn. I felt good and ready. For once I had my nerves where I wanted them. After greeting each other and the referee, and a friendly fist-bump, we started to grapple. It was a short fight, as I got quickly caught in an armbar. It was really tight, really fast. The moment my elbow cracked into position I tapped. It certainly wasn’t the outcome I envisioned, nor the one I had hoped for, but it was a good experience and the better fighter won that match (and the tournament in our weight class). People don’t usually share their losses on the internet. They instead create this bubble of perfectionism. If you are following me on a regular basis, you know that I am not one of them. I share my journey, including the good, the bad, and the ugly. Sometimes losing is part of this way and journey. But here’s the thing: in life and in BJJ you don’t lose. You either win or you learn. That’s the approach I am following and I learned a lot from this loss. I know that I am much better at preparing for a tournament, I’ve got a better feeling for the days and weeks ahead. I was in good shape, both physically and mentally. That was new. In the past, I was always tired from pushing too much the days before. On top of that, I wasn’t sure how to eat the days prior to the tournament and on tournament day. I have figured out what works for me and that’s a big win. Being much more focused mentally was hard work and something that I have focused a lot on during my training sessions. It’s a part of my BJJ game that I need to still work on and practice. That’s why I keep signing up for more tournaments. The more I compete the more comfortable I feel. Plus, I simply have a lot of fun competing. So yes, I lost a fight and I was definitely very disappointed. But, I also won a lot of knowledge and that alone was already worth the trip. On top of that, I had a great weekend trip, sharing some quality time with my wife, good friends, meeting new people and having fun at my refeed dinner. I chose to grow and step forward. I look forward to the next competition and your thoughts. This entry was posted in BJJ and tagged BJJ, Grappling, no way out, no-gi by Stefan. Bookmark the permalink.